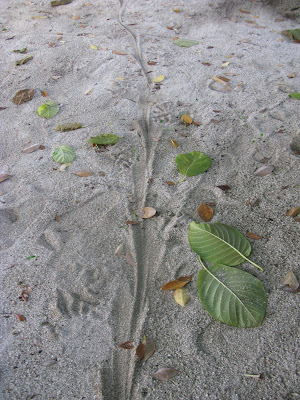 Any idea, what animal is leaving such traces? Photo from Putri Island, September 2008. Thanks for the feedback. Out of the 150 something readers every day, this is not a bad return.